Romantic vineyards, hilltop castles and ancient fortified churches characterise the unusual cultural landscape along the eastern edge of France. The region between the Vosges Mountains and the Rhine River has been the stage of numerous historical events that have been shaped by both, French and German culture. The area was already influenced by the Celts around 1,000 BC. The Romans brought Mediterranean culture and wine to the region, an impact that can still be seen today. The towns along the Upper Rhine Valley played an important role during the Middle Ages. Not surprisingly, some of the period's most famous artists came from this area, including Matthias Grünewald and Martin Schongauer. 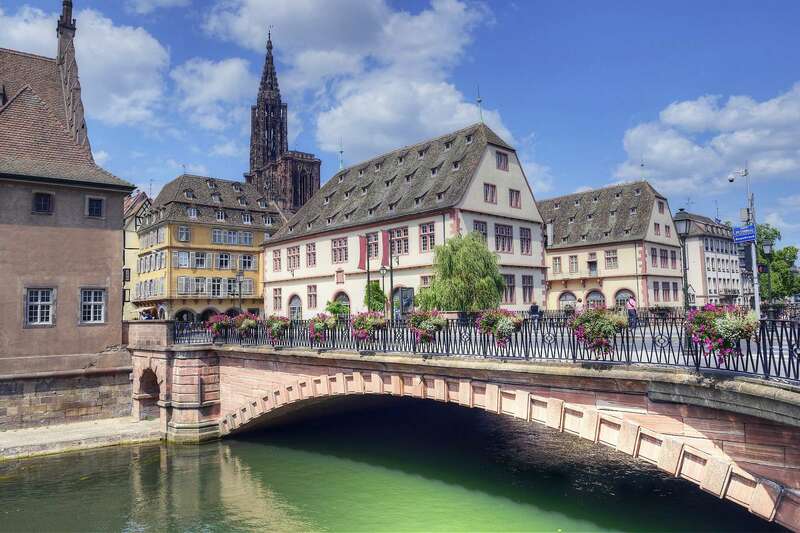 Alsace is also known for its hearty cuisine: such dishes as choucroute, baeckeoffe and tarte flambee should be enjoyed with a glass of excellent white wine from the local vineyards. Together with Strasburg, this is one of the most beautiful cities in Alsace. It is located along the wine road and considers itself to be the capital of Alsatian wine. 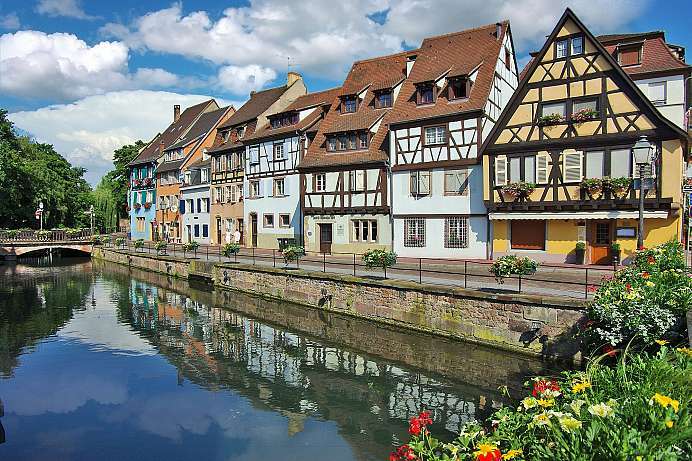 Colmar is famous for it well-preserved architectural heritage spanning six centuries. Splendid timber-framed buildings and renaissance palaces characterize this town on the Lauch. Its museums house unique art treasures, including the Isenheim Altarpiece by Mathias Grünewald in the Unterlinden Museum. This depiction of the crucifixion is among the most impressive paintings produced during the Gothic era. The old town features numerous wine taverns where you can enjoy wine and traditional Alsatian fare.